From our office in Kenosha, Dr. Jeffrey R. Thomas and Dr. Donna Brunello provide optometry and eye exam services to Pleasant Prairie and Racine (WI). 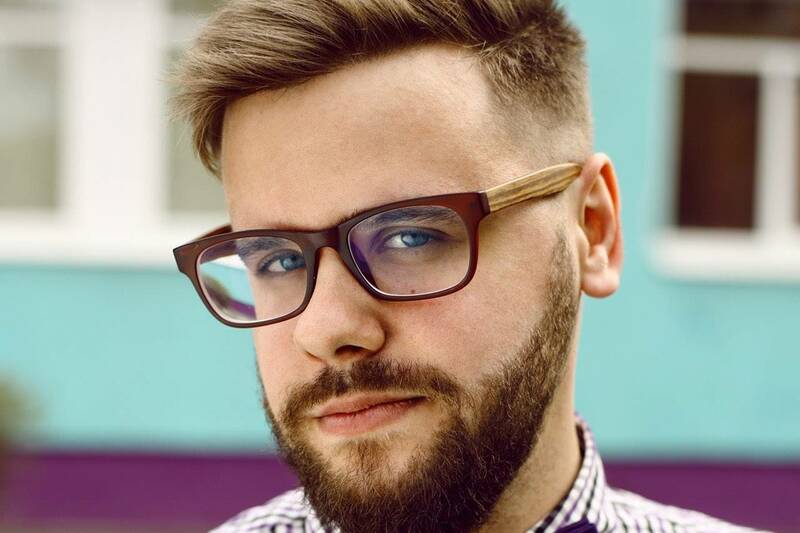 Whether you need an optometrist for a routine eye examination, to find the right pair of contact lenses or glasses, or for more advanced eye care services, you want to know that the doctor you are seeing has the right experience, expertise, and “chair-side” manner to make you comfortable on your visit. 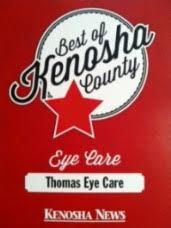 With years of outstanding service in the community, our optometrist, Dr. Thomas has a reputation for excellence. Better vision has a direct impact on your quality of life. Make sure that your eyes are in good health by taking time for regular vision check-ups. Our state of the art testing services are designed to go far beyond simple prescription writing. Early detection and treatment of ocular problems is critical for long term vision health. Our comprehensive examinations are among the best you will find. Have your eyes ever felt gritty and watery after an outdoor adventure? Maybe you felt a burning sensation and suffered temporary vision loss? If this sounds familiar to you, you may have been exposed to high levels of UV rays from light reflections while boating, hiking at high elevation, or participating in snow sports like skiing and snowboarding. This condition, formally called photokeratitis, is particularly common in winter, and you might have heard of it by the name “snow blindness.” Why Snow Blindness? Photokeratitis is essentially getting a sunburn on the surface of your eye. This can happen in most climates with strong sunlight, particularly when there are reflective surfaces such as white sand, water, or especially snow. You could also get it without any sun at all, from man-made sources of light like welding torches! The reason photokeratitis is so much more common in winter is that the snow reflects up to 80 percent of the UV rays that hit the ground, so your eyes get almost a double dose of sunlight. The high altitude is a factor as well. One of the dangerous things about photokeratitis is that, like a normal sunburn, it can take hours before the symptoms appear. As a result, you might keep exposing your eyes to harmful UV rays even after the damage has begun, making the condition more severe. Soothing Snowblind Eyes If you do get snow blindness as you enjoy winter activities, there are a few simple ways you can treat it to help your eyes recover more quickly. Photokeratitis dries out the eyes, so you’ll want to restore the lost moisture with things like wet cloths, humidifiers, and eyedrops. Remove your contacts if you wear them and avoid rubbing your eyes. If possible, you might also want to cover the affected eye (or eyes) with patches so that they aren’t further irritated by additional light. Having The Right Eye Protection Knowing how to treat snow blindness is useful, but it’s even better to avoid getting it in the first place. That’s where protective eye wear comes in, so you can spend as much time as you want shredding moguls on your snowboard or carving slopes on your skis this season. Make sure to get sunglasses — or, preferably, ski goggles — that block 100 percent of UV light. Polarized lenses will also greatly reduce glare and help you see contrast better in the snow. Vision Source Is Here For You Snow blindness typically heals on its own after a day or two, but if your symptoms are worsening after the first day or aren’t going away after the second day, you should come see your local Vision Source® member optometrist immediately. We hope you have a wonderful time this ski season, but don’t forget to protect your vision! It's that time of year again! Don't forget to use your flex spending benefits before they expire. Stop in today and check out our amazing selection of frames! – On Monday, August 21, 2017, a total solar eclipse will span the United States. The moon will cover at least part of the sun for 2 to 3 hours, with some areas experiencing totality (or complete blockage) for up to 2 minutes 40 seconds. The 2017 Great American Eclipse is noteworthy for its path that makes it visible from most Americans' backyards; 500 million people across North America will see at least a partial eclipse, yet only about 12 million live within the “path of a totality”. That means it's especially important for Americans to clearly understand how to safely view the eclipse depending on their location. “Looking at the sun, even for a short period, without proper protection can cause irreparable eye damage, even permanent eye vision loss,” advises Dr. David P. Nelson, Madison area optometrist and current President of the Wisconsin Optometric Association (WOA). “Since Wisconsin is not an area that will experience complete coverage, wearing glasses specifically designed for eclipse viewing is critical.” Standard sunglasses, regardless of ultraviolet markings, including UVA and UVB, will not provide enough protection for eclipse viewing due to the intensity of the rays. The sun's rays may be partially blocked during an eclipse, but the remaining visible rays are still intense enough to cause serious eye damage or even loss of vision. “Eclipse glasses” should have an ISO 12312-2 marking on them to be considered safe for looking at the sun. These glasses should be closely inspected prior to use to ensure the solar filters are free of any scratches or damages. If imperfections are found, the glasses should be discarded. Binoculars, cameras and telescopes should not be used when viewing the eclipse, even if wearing eclipse glasses during use, as these devices can magnify the sun’s rays and negate the effectiveness of the protective eyewear. “Children should be closely monitored during the eclipse,” explains Dr. Nelson. “Unlike the mature lens found in an adult eye, a child’s lens cannot filter out UV rays as easily, causing damage to the child’s retina. When children play outside, they are often excited and may remove their glasses or their glasses may fall off during activities.” Overexposure to the sun rays can cause damage to both the front surface of the eye (photokeratitis) and the inside or back of the eye (solar retinopathy). Symptoms include eye pain, burning or red eyes, light sensitivity, blurred vision, difficulty in recognizing shapes, objects' appearing distorted, headaches, watery eyes, and/or swelling around the eye or eyelid. "If experiencing any post-exposure symptoms, medical attention should be sought immediately, especially if the condition is worsening with time," says Dr. Nelson. "Just as with a sunburn, delayed symptoms can also occur several hours after overexposure." 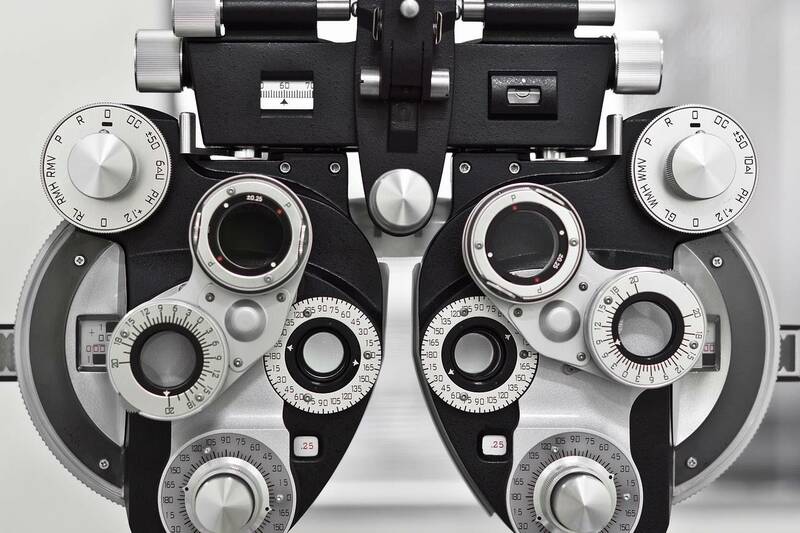 The best way to monitor eye health, maintain good vision, and keep up-to-date on the latest in developments in vision protection is by scheduling yearly comprehensive eye exams for you and your family with your local optometrist.